Aunts Creek Resorts are in a great little area full of fishing and lake resorts. Of course, if you don't fish, these resorts will make wonderful getaway resorts for lake fun or just some rest & relaxation. 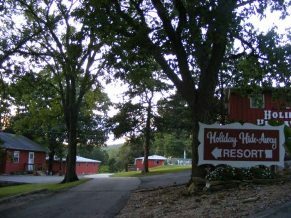 Located in the gold area of our area map , these lake resorts are not far from two of the best attractions in Missouri, Silver Dollar City and Shepherd of the Hills Homestead. A few miles further and you're in the heart of Branson, MO. Since rates can change with the season or the day of the week we list all Aunts Creek Resorts in category ranges instead of trying to show all rates. These ranges are based on their basic rooms during a normal season. However the rates may be higher or even lower depending on various factors. The ranges are a guide only and are noted by the name on each page. 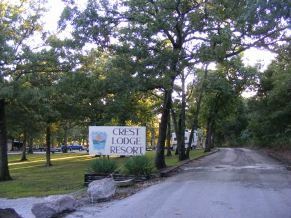 Traveling south on Hwy 13 about 3.9 miles is Hwy OO which leads into the Aunts Creek Resorts area and Table Rock Lake. 10 Holiday Hide Away Ct. 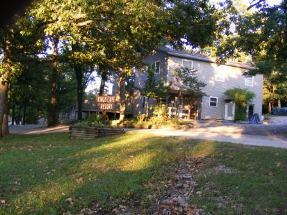 Some of the best Table Rock Lake cabin rentals can be found in the Aunts Creek Resorts area. 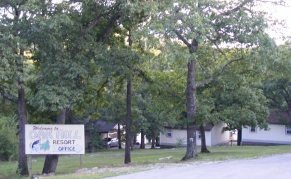 Along the banks of Table Rock Lake and north of the main channel the Aunts Creek Resorts are comfortable lake resorts with small cabins and cottages amidst homes and condos. Many fisherman and lake enthusiasts come to this area for their Branson vacation. Aunts Creek Resorts are a great place for family vacations where activities abound at the resort, on the lake or a few miles away. A beautiful sunset and a quiet evening await you after a busy day as you look forward to a cool early morning to start the new day. In case you want to know………………………………………. The basic direction of the roadway from Springfield to Kimberling City is first believed to have been formed by buffalo migrating south for the winter. The Indians used this route and later the Wilderness Road was formed along it for hauling freight between Springfield and northern Arkansas towns.